If you want to open a micro business, vending machines are one of the best home based business ideas to consider. Starting a vending machine business is much simpler than other business endeavors you could consider. 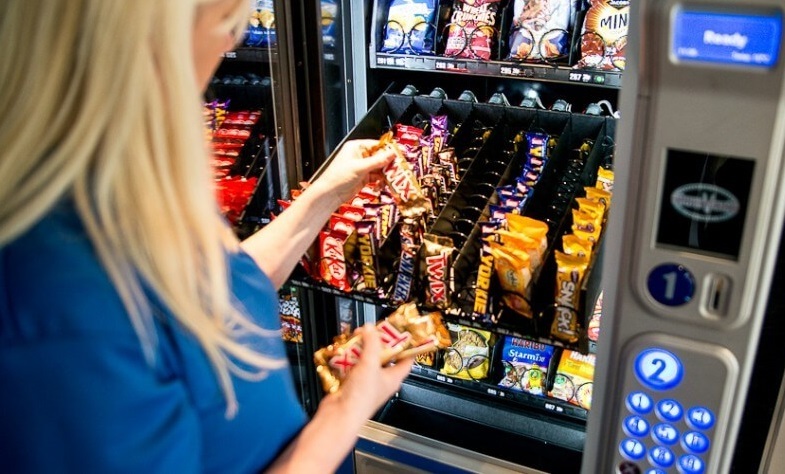 However, there are certain tricks you can use to make your vending machines more lucrative. Keep reading below to learn the secrets behind opening a vending machine business that is successful for the long term. Owning vending machines is not as complex a task as running a Fortune 500 company. However, it is an area of business expertise that still requires specialized industry knowledge. You may want to start small when starting a vending machine business. Look into purchasing one or two gumball machines or other low maintenance vending machines just to start. This gives you the opportunity to learn more about owning and operating a vending machine company. This slow start will certainly offer you a better chance at long-term success. Just like with any other retail business or food franchise opportunities, it is all about location, location, location. Deciding on the best locations for vending machines requires forethought and research. However, the best place to look first is schools, particularly college campuses. You can expect students to provide a steady stream of customers. This will provide you with a steady stream of income. You stand to make even more money if you are able to own vending machines that accept college ID cards. Either way, make sure you research the best vending machine locations before starting out. This will help your vending machine business to enjoy high-volume patronage for the long haul. Another vending machine business secret that can benefit mico business owners on a budget is to know your vending machines inside and out. You should try to have at least the mechanical ability to service vending machines for common but minor issues. Make sure you have the tools to complete these simple vending machine repairs. This includes, but is not limited to, screwdrivers and pliers in particular. Know your machine inside and out. This is a vending machine business secret that will help you earn more profits than the competition. Just as you know your machines, you want to know your customers too. This will help you to prepare for growth. Vending machine customers are always right, just like any other customers. If your vending machines are constantly running low on a particular snack or drink, that means customers want more of that product. So, make sure to meet that demand. Vary your vending machine products in the beginning to get a feel for the customers in that location. Then, listen to customer demands when restocking vending machines in the future. This is the only way to outperform competing vending machines within a location. The final secret from the vending machine business is that appearance matters. Customers are getting food and beverages from your machines. They will not buy from a machine with a dirty, broken-down appearance. Make sure to clean, restock and service vending machines weekly. Having a clean, working vending machine will help you to outperform competition and generate higher vending machine returns. This is one of the simplest vending machine secrets that, unfortunately, many forget the importance of. If you want to start a vending machine business, you have a great microbusiness idea to get started with. However, these vending machine tips and tricks are the only things that will help you to outperform the competition in a crowded industry. They will also help you to increase profits from vending machines, so you can stay in business year after year. Remember these vending machine business tips to open a vending machine business that will help you earn additional income and reach success on your own terms.